We do get the actual official character voices for each character. 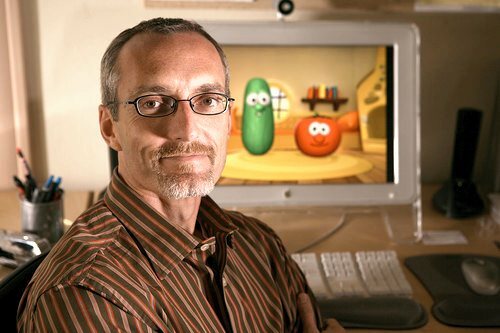 In the case of the VeggieTales CD, I traveled to Chicago, Illinois to visit the VeggieTales production studios, and recorded with Phil Vischer (“Bob the Tomato”), Lisa Vischer (“Junior Asparagus”), and Mike Nawrocki (“Larry the Cucumber”). The CD’s make great gifts for kids of all ages. 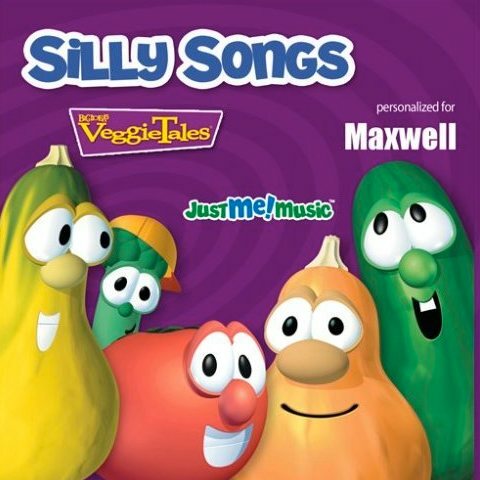 It’s been particularly rewarding to hear testimonies of how these CD’s affect kids’ lives, particularly disabled or challenged kids, who are reached by the fact that the characters are talking and singing directly to them, engaging them in the story and the fun. You can audition all 1600 versions of the two VeggieTales discs here and here.